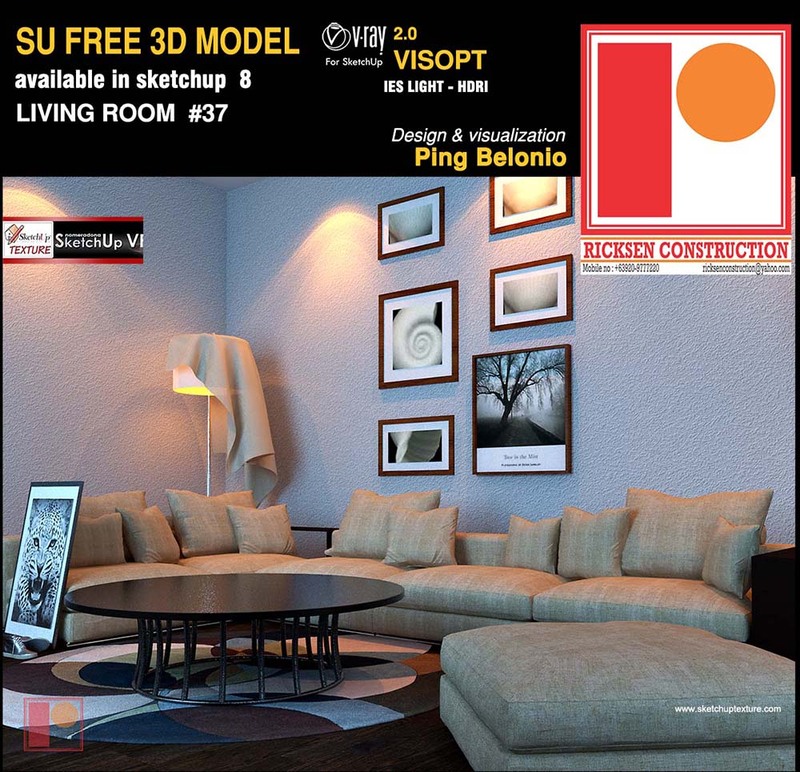 I'm happy to share my SketchUp 3D model Living Room Corner, made available in sketchup 8. Only a simple composition of models, simple texturing, simple lighting. 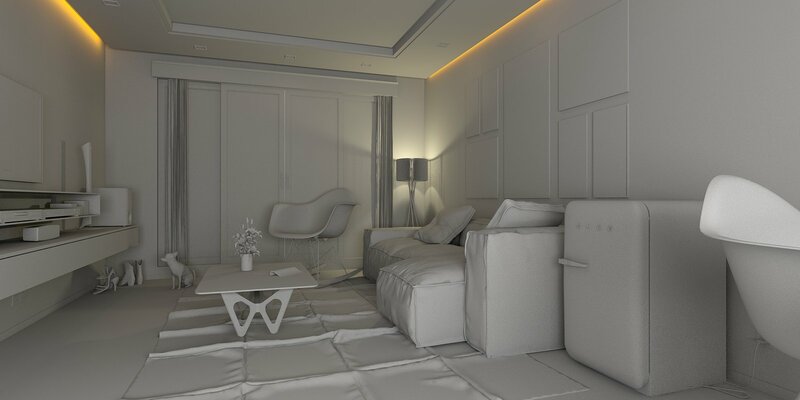 Some objects in this scene are taken from 3dwarehouse. 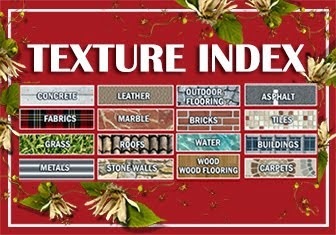 All textures used here, are taken from Sketchup Texture Club. 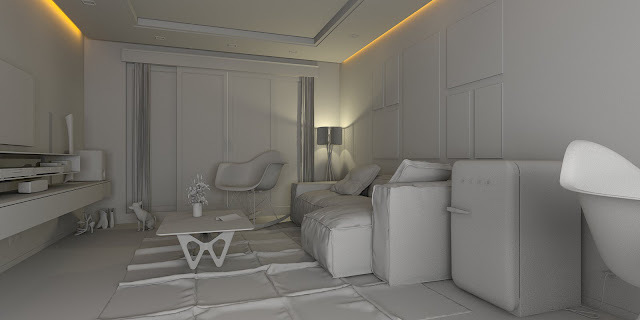 I included in the zip file archive, also the vray interior Visopt of this scene, and vray IES light. 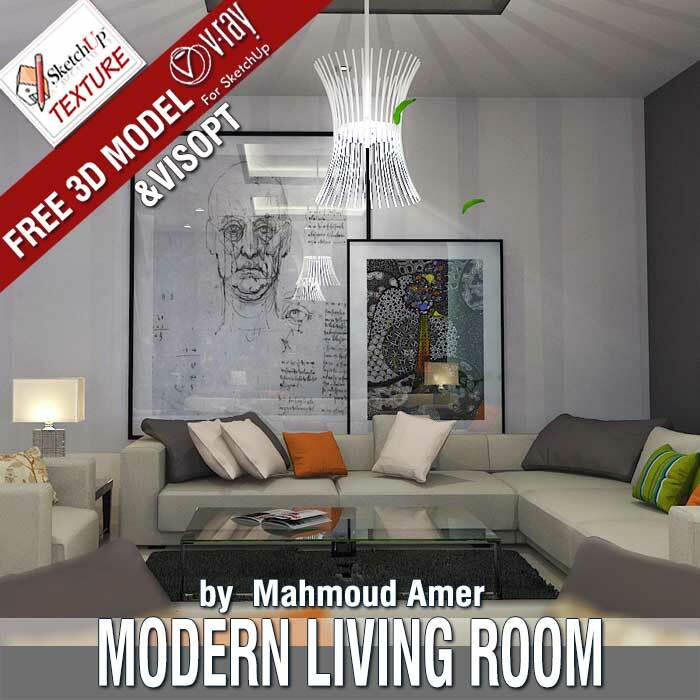 The 3d model, is made in sketchup 2015, but is available in sketchup 8 so all are able to open it and is complete with all the textures. 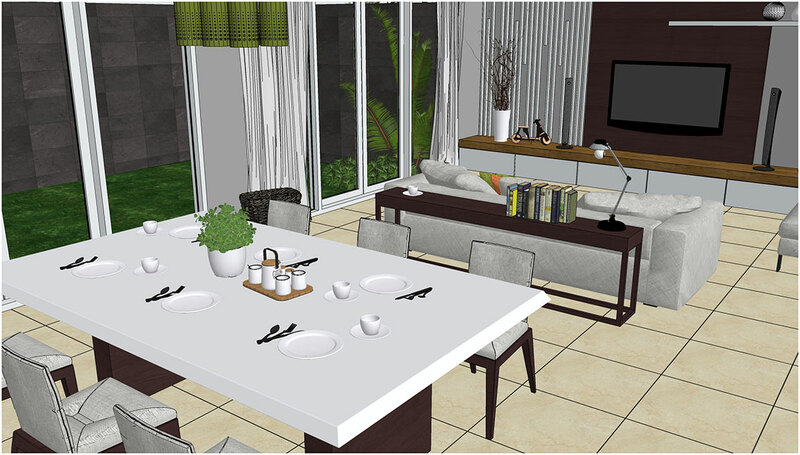 I am happy to share with you my latest SketchUp 3d model, of this spacious and modern living room, divided into two areas: a section devoted to the conversation, and a part, dedicated to home video. 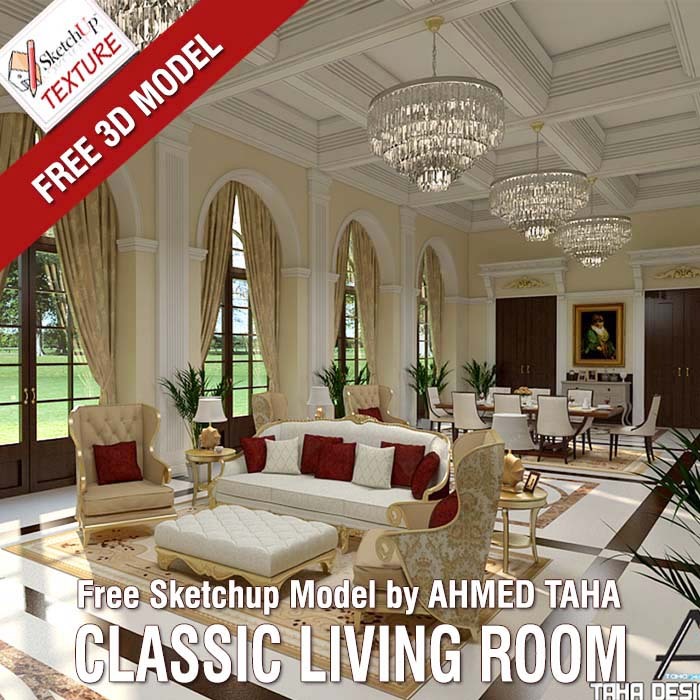 Awesome sketchup 3d model, full of great 3d components to be used in your 3D scenes, very well textured with a perfect combination of colors, tone on tone, and a perfect choice of materials and style of furnishings. It emerges also a meticulous search of accessories and details, which reveal a keen eye, and a great stylistic potential. 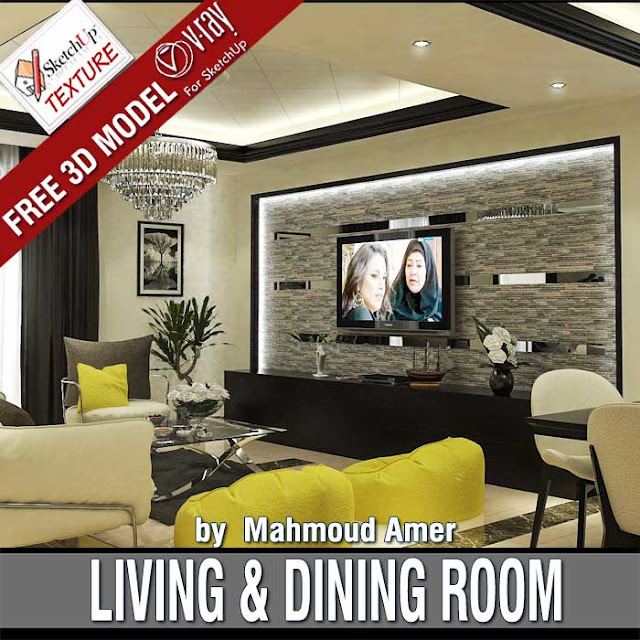 The 3d model, is made available in sketchup 8, complete with all the textures, vray interior Visopt, vray IES lights, HDRI used of this scene an Vray Proxy Carpet. Congratulations Jessan end Thank you so much for this helpful contribution to our community ! 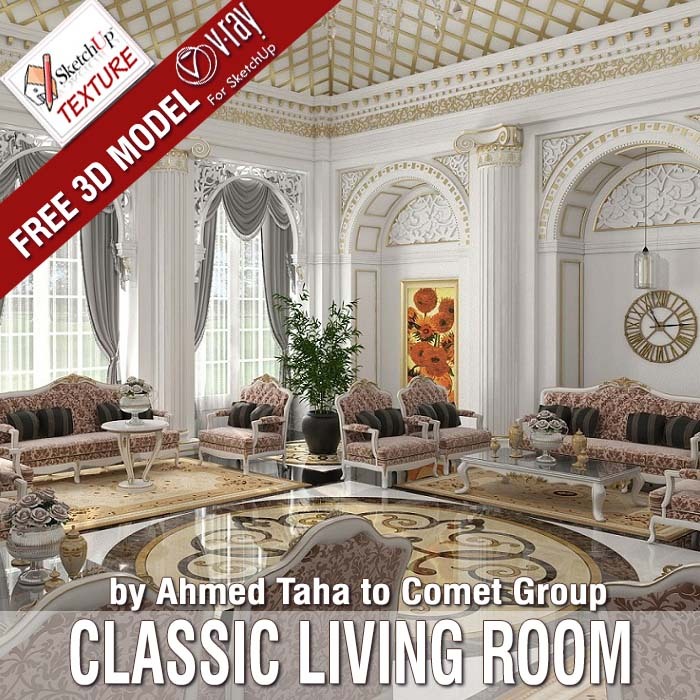 Really awesome, this sketchup 3d model, shared in 3d model gallery, by Engineer AHMED TAHA to COMET GROUP which shows an excellent modeling capabilities with sketchup: the details are really amazing! I invite you to look at the ceiling, thinking about how many hours of patient work it took to accomplish that. 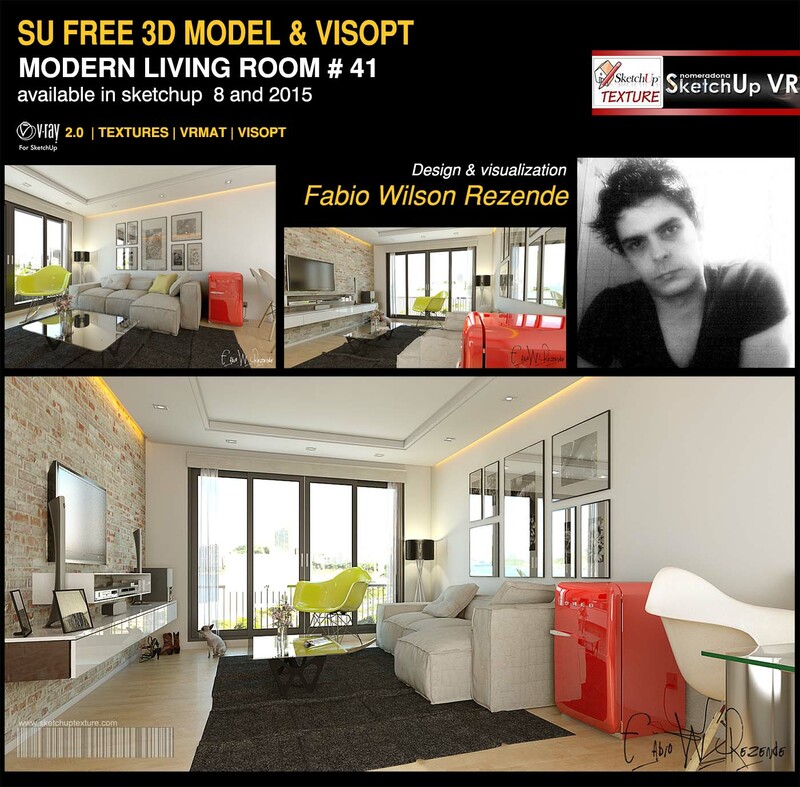 In the zip, you will find two files of the same model, presented in two color versions both very nice. Thank you very much Ahmed , for this huge and fantastic gift to our community! Abosolutely great this luxury classic living room designed by Eng. AHMED TAHA , very well textured, with a very good coordination of the colors and materials: wall, doors, floor, ceiling conceived and designed to give this area an understated and refined elegance. 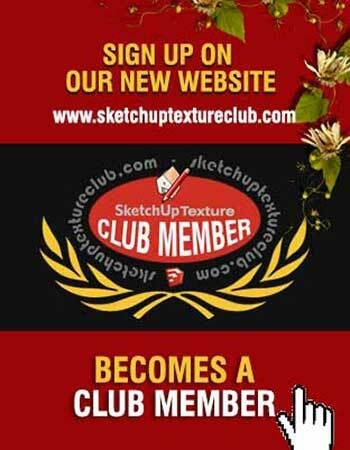 A big thank for this wonderful contribution to the community of sketchup artists!. 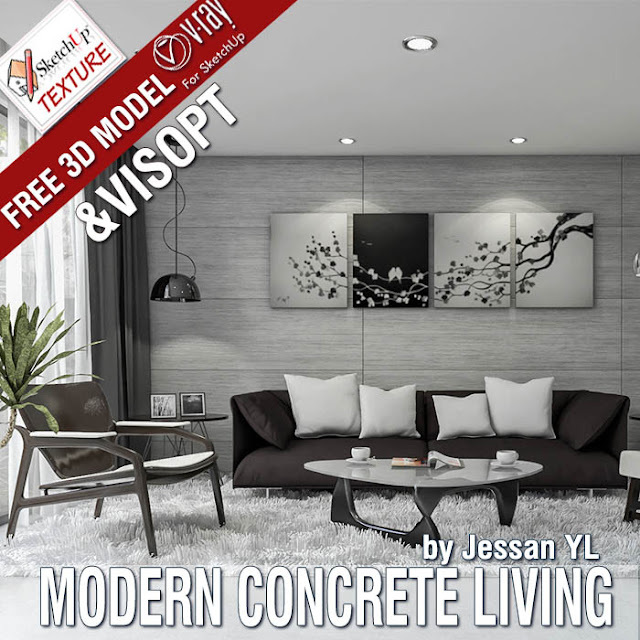 - all textures - vray Vrmesh bricks and wood floor material - and the Vray interior Visopt. 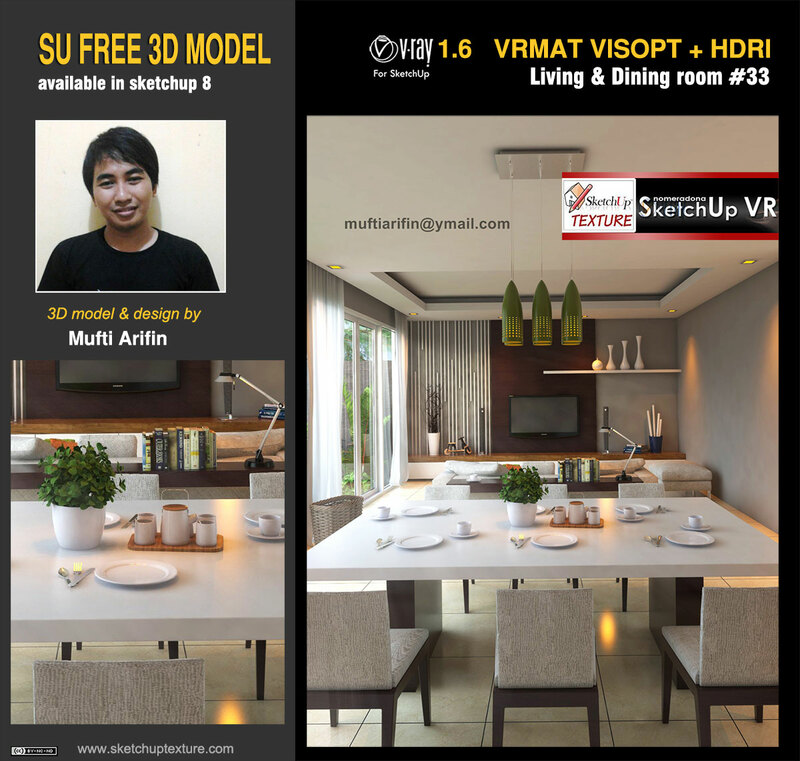 In the pictures below, you can also see the preview render obtained using the option vray Override material, to learn more about this setting, click on this , tutorial Rendering an Interior Scene by Chaos Group user guide. 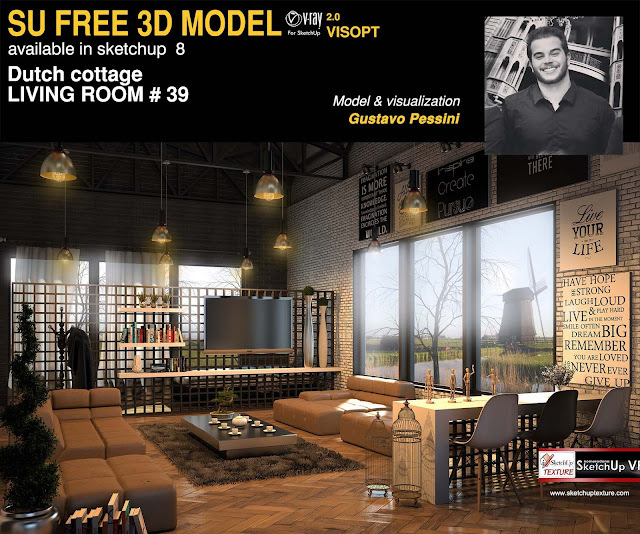 This is a very good 3d model for your exercises vray render, but remember to always give credit to the author of the model, not only for courtesy but is also an ethical duty A big thanks to Fabio for this new great contribution! A big thanks to Gustavo for having shared exclusively with us, this excellent work, that is what is called a render high quality. 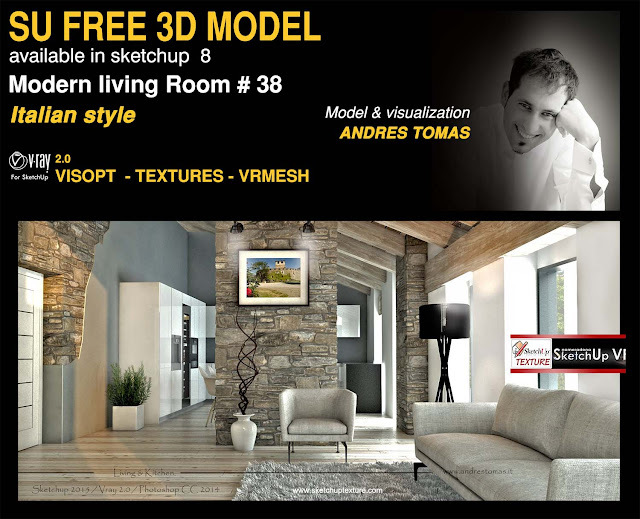 I'm really happy to host here today, one of my countryman, who wanted to share with us his 3d model of a modern living room, set in a typical rustic Italian house , restored highlighting in some parts, the original stone structure typical of the Valle d'Aosta . 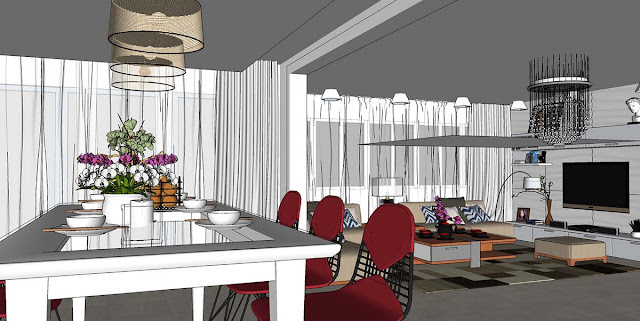 Very beautiful coordination of the colors of the layout, that create an environment very fine. 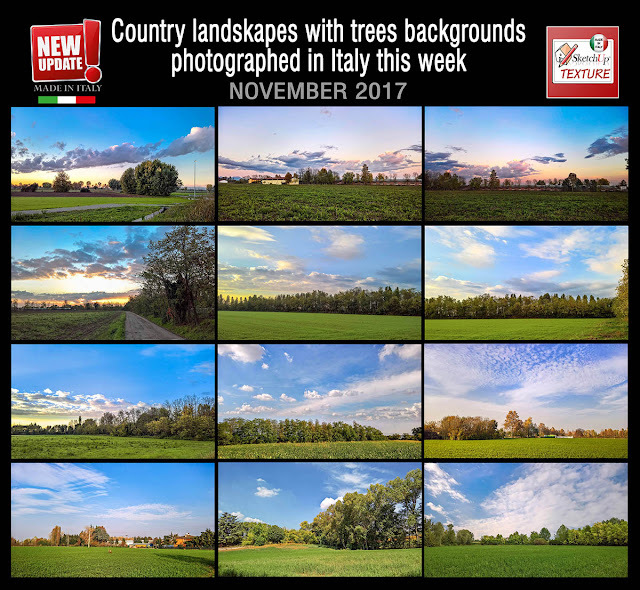 A big thanks to Andres for this nice great contribution ! remember to always give credit to the author of the model, not only for courtesy but is also an ethical duty A big thanks to Andreas for this new great contribution ! 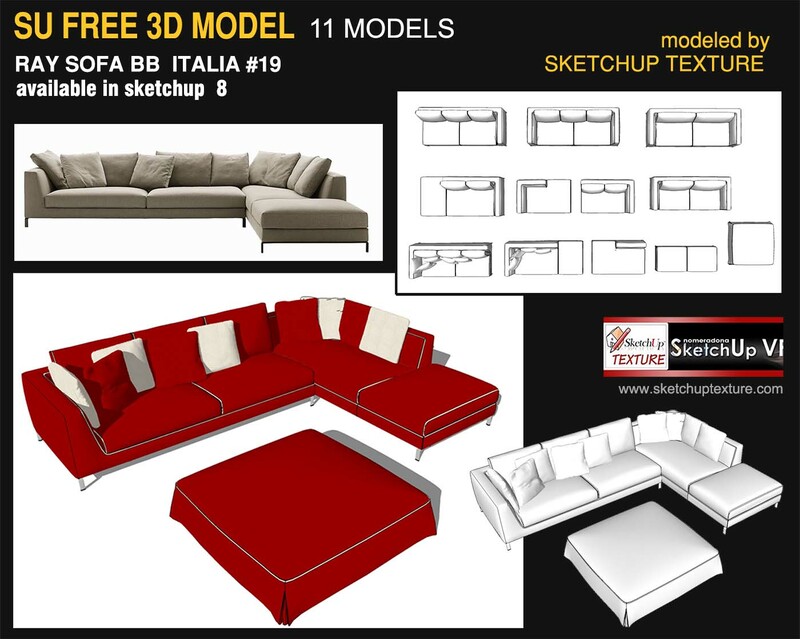 Excellent series of cushioned sofas, model Ray Sofa, produced by BB Italia, modeled by Sketchup Texture, consisting of 11 modules of various sizes, available in sketchup 8 , allowing you to design a living area of small or large size, creating a modern ambience and elegant to great effect. 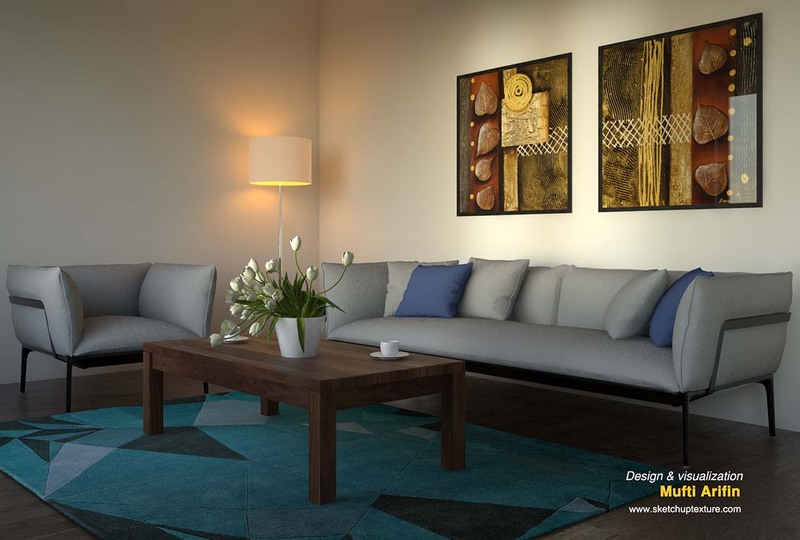 This great 3d model, full of components to be used in your 3D scenes, is courtesy by Ricksen Construction, who shared exclusively for us, this really nice work of a modern living room with cushioned sofas and wood structure in sight. The 3d model, is made available in sketchup 8 , complete with all the textures, vray interior Visopt, Vray Ies Light, and Hdri used in this scene. Thank you so much for this beautiful contribution to our community ! This lovely 3d model, full of components to be used in your 3D scenes, is courtesy by architect Gabriel Chahoud who shared exclusively for us this nice work. 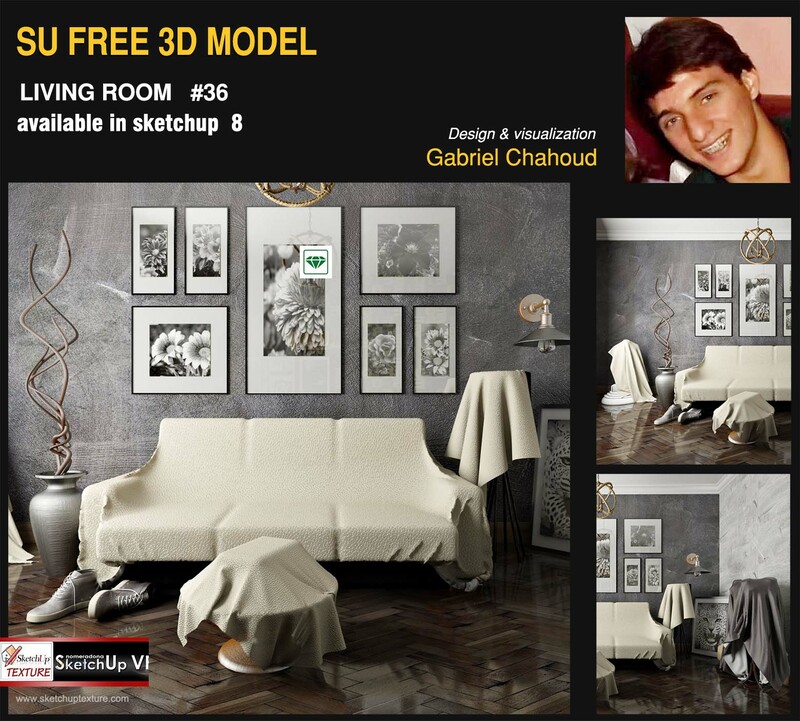 The scene is modeled in Marvelous Designer, and made available in sketchup 8 , complete with all the textures, and rendered with vray 2.0 Thank you so much Gabriel, for this beautiful contribution to our community ! 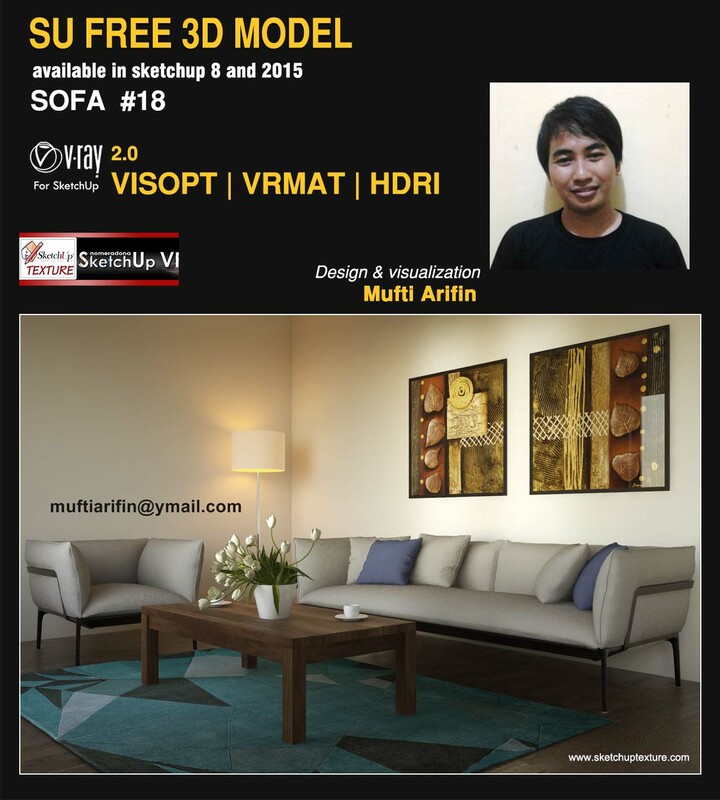 Nice 3d model, modern design sofa, courtesy by architect Mufti Arifin, made in sketchup, available in sketchup 8 and sketchup 2015 , complete with all the textures, vray Visopt, Vrmat, and hdri used for the realization of this scene , ready to be rendered with vray 2.0 Thank you so much for this beautiful contribution to our community ! 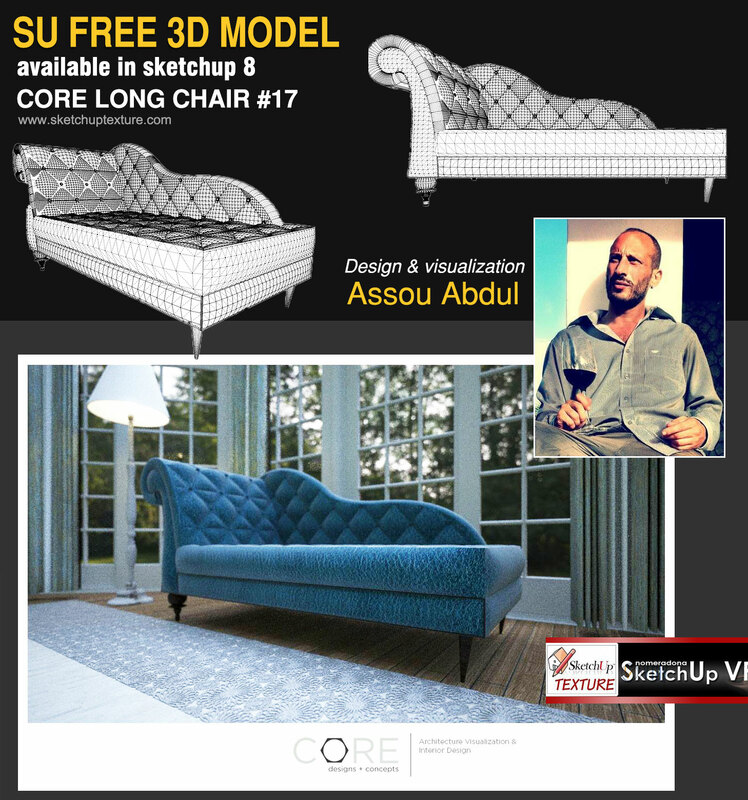 Assous, is the designer of the line "Core" which proposes design, modern classic, very refined. They are items of furniture that will fit into any environment and peremettono to create a style timeless furniture sober and elegant. 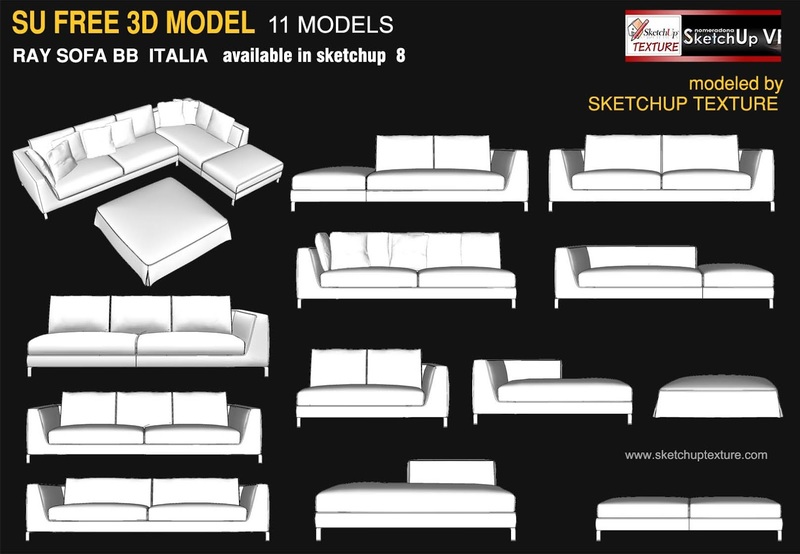 The 3d model, blue velvet longe chair #17, is available in sketchup 8, and is shared exclusively with SketchUp texture. 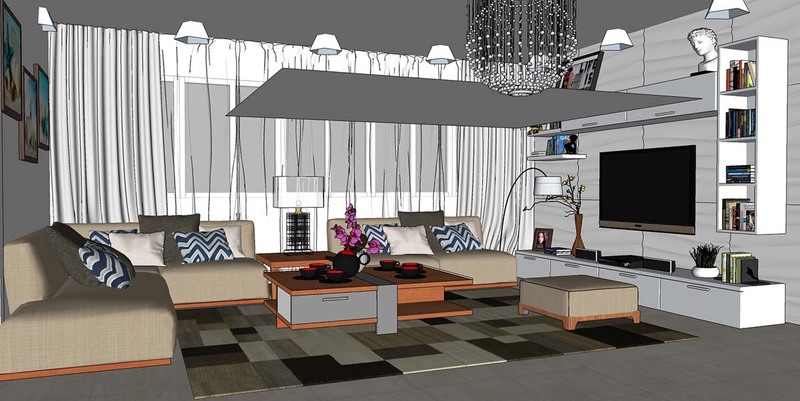 The complete file of this scene, longe chair, courtains, floor lamp, weighs 65.5 MB. A big thanks to Asoou for sharing with us this elegant 3d model very nicely done ! 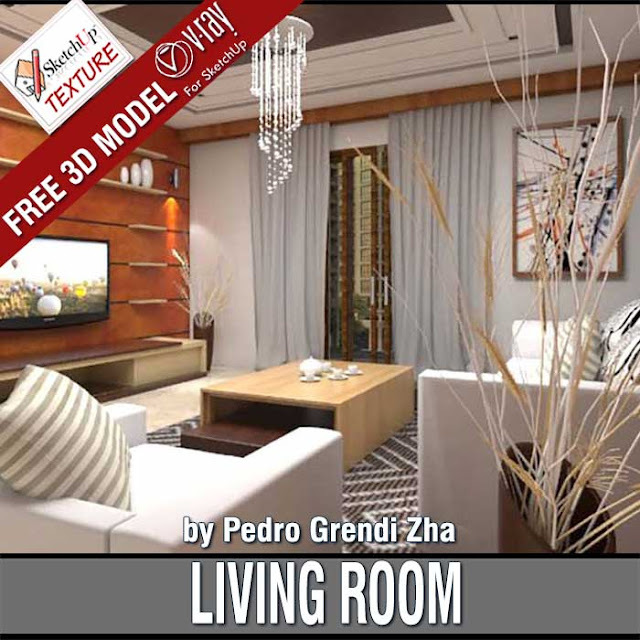 Modern and spacious 3d living area, open spaces, consisting of dining room, living room and kitchen, optically well divided. 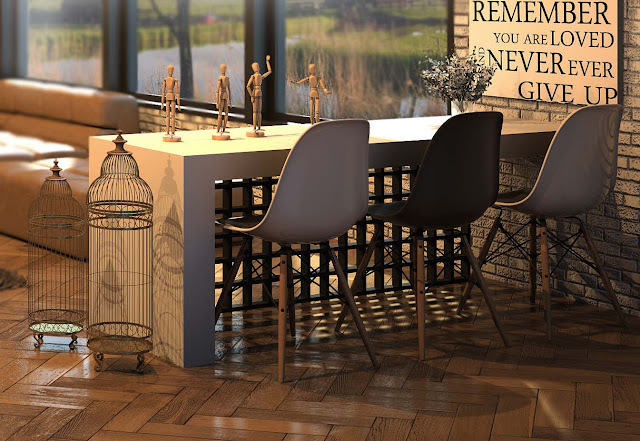 Excellent the choice of colors, tone on tone: white walls, a warm wooden floor and some touches of brown, all very well-balanced, giving us an environment, elegant and comfortable. 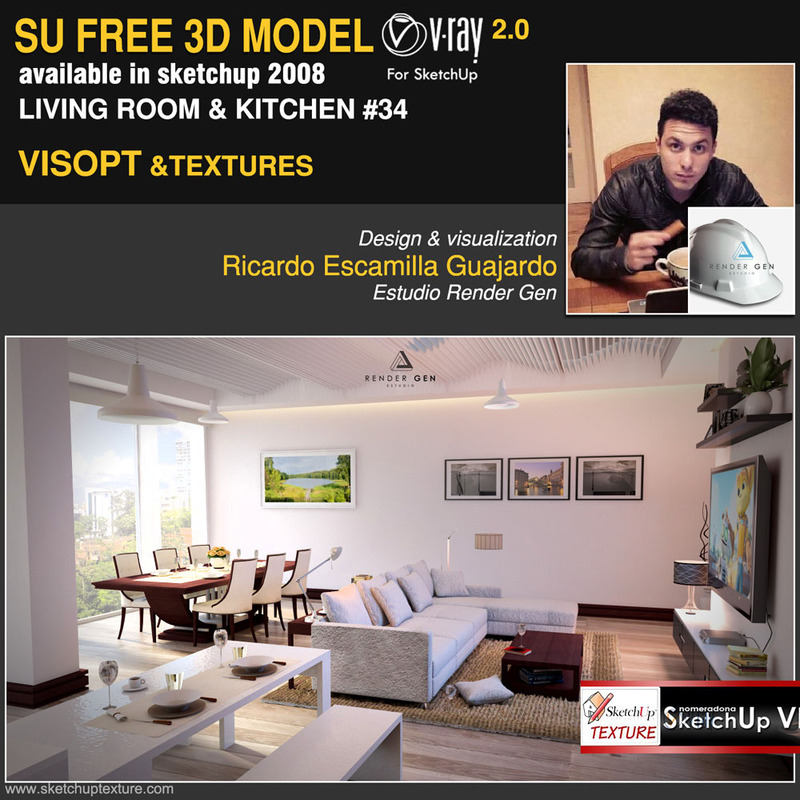 The 3d model is available in sketchup 8, full all textures, and Vray Visopt . 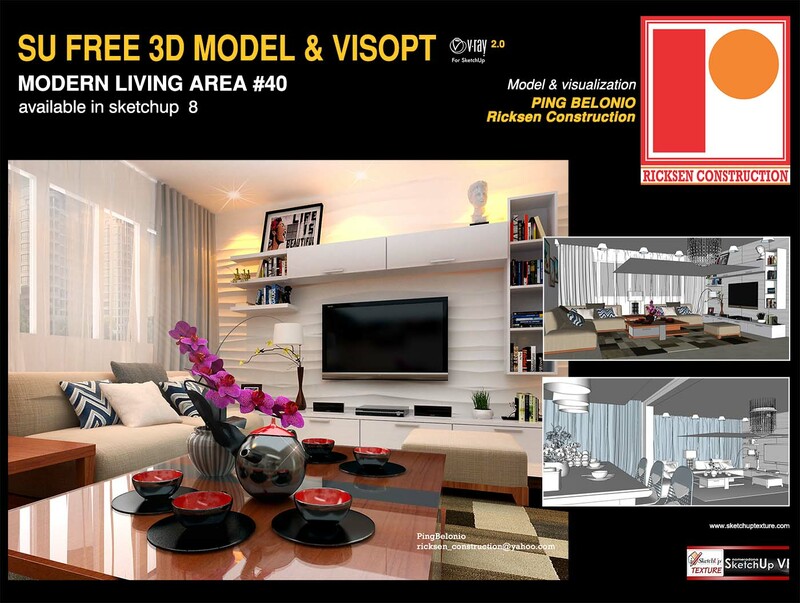 A big thanks to Ricard for sharing with us this excellent model very well done ! 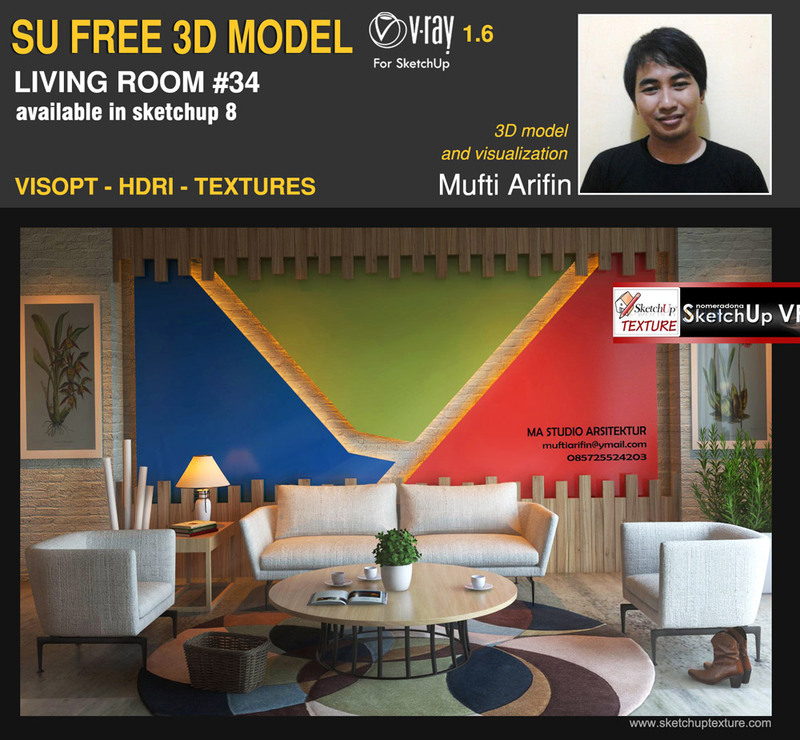 Really nice new sketchup 3d model of today, courtesy by archt Mufti Arifin (You can contact him by clicking HERE ) who shared with us his project of this modern living room, available in sketchup 8, complete with all the textures, vray Visopt, and hdri used for the realization of this scene , ready to be rendered with vray 1.6. Thank you so much for this excellent contribution to our community !